​Bruno is a business man who has run numerous real estate and construction enterprises throughout Australia. He has worked with key politicians in Canberra in recent decades and been a spokeperson for law and order. He is well versed in corporate strategy, finance and marketing. 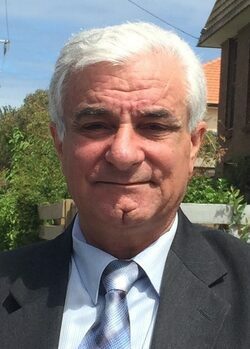 He is well affiliated with numerous ethnic communities in Victoria and stands for increased pensions and free education for all Australian citizens. Bruno will push for a better tax model where Australians get better value for money. He believes in tax concessions for workers, assets tests on the family home removed and children given access to schools and programs without charge to their parents. Bruno will bring profound improvement for Australian workers, families and children. He is a devoted father and son and will be a strong voice for Victoria in the next election.